Order before 12pm in the delivery zip code! It's a pleasure to meet you. Let us introduce. We love flowers. It was from that fascination that the idea was born to create our own flower business and do what we loved anyway - with joy, integrity and professionalism. Sending gifts is an ancient and somehow sacred custom. In a world where very often we don’t have the time, the imagination, or the courage to state our feelings in the old-fashioned and even corny style, sending a flower is a token of bravery and candour. It speaks - without speaking - the words of gratitude, respect and care. It is a powerful way of reaching out to those we love and cherish making them feel seen, special, and valued. Sending flowers will always remain one of the simplest ways to express the complexity of an intention without explaining yourself away - to state respect, to show support, to bring joy and love. We wanted to help people do that. And we opened our flower shop in Middletown, Delaware. As we started we picked up our values carefully and we adhered to them rigorously. We decided to work with local shops because we want to support small business grow and flourish. 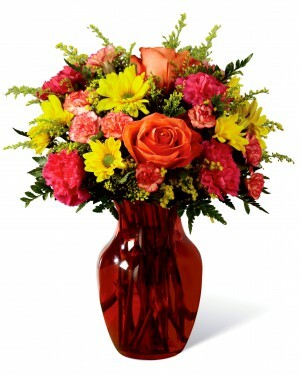 We put a strong emphasis on quality so all the flowers we offer are always fresh and luscious. Because, let’s face it, the quality of our flowers is the fundament of our reputation. And we are not of the habit to compromise with it. 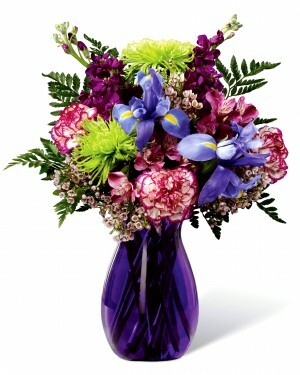 To make sure this is checked, we give a 7-day guarantee for the freshness of the flowers we sent wherever you wanted. It is our pledge that we will always do whatever it takes to honour our customers, to offer impeccable quality, to make things easier for our clients and to keep the promises we’ve made - on time and on the spot. We maintain a huge selection of fresh flowers so that you can come to our shop most probably wondering what you want and then see it and exclaim in delight: “Ah, that’s exactly what I was thinking about.” So there you go. You name it, we send it. We aim to work only with high-quality fresh flowers that have a 7 day freshness guarantee to ensure their initial beauty will last and their scent will persist. We focus on loyalty, effectiveness, and timeliness. We only work with small local flower shops because we believe in helping each other grow. We are always open to hearing your advice on how to do things better - so if you feel like chatting to us about it, don’t hesitate to send us an email. We will be happy to hear from you. And we will take your advice to heart. We promise: Quality. Beauty. Freshness.